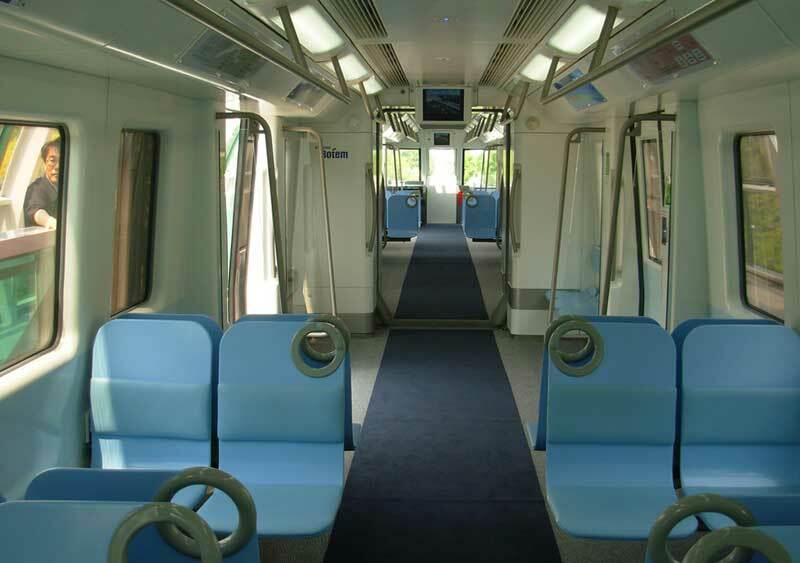 Welcome to the Daejeon Maglev. This short 1-km, two station system opened for passenger operations on April 21, 2008. 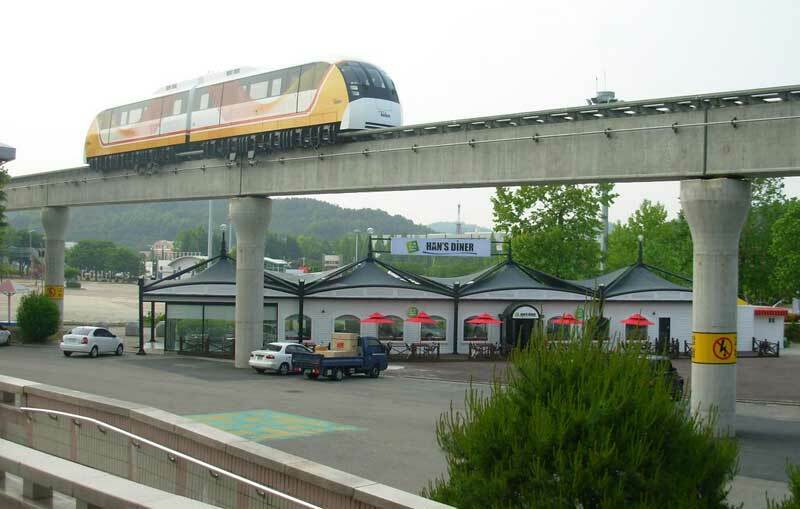 It was constructed as a demonstration line and a similar system is scheduled to open at Incheon International Airport in 2012..
We start at the Expo Station. This is the same station used for the earlier versions of the maglev which ran at the Expo 93, refurbished for the new maglev vehicle. The track and train however are new. The empty train. Video screens show a computer simulated video of the trains zipping along at Incheon International Airport. 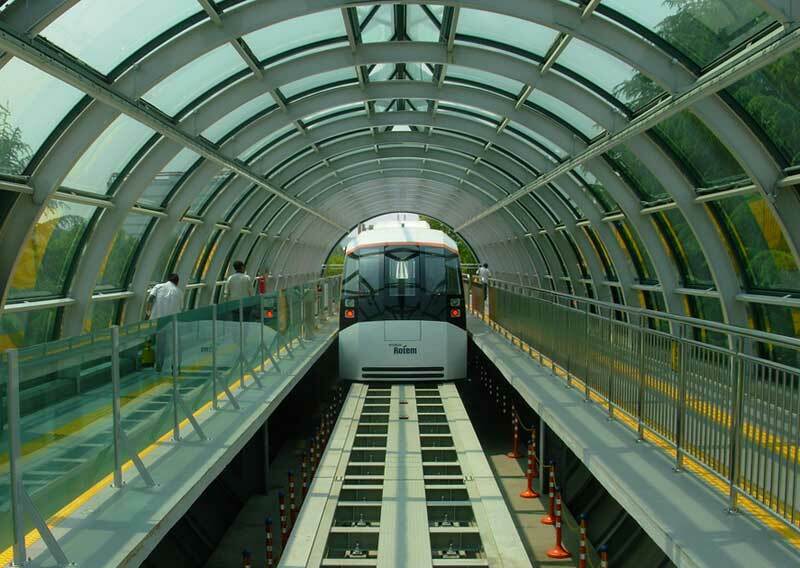 Artistic renderings of the maglev at the airport were posted throughout the train. 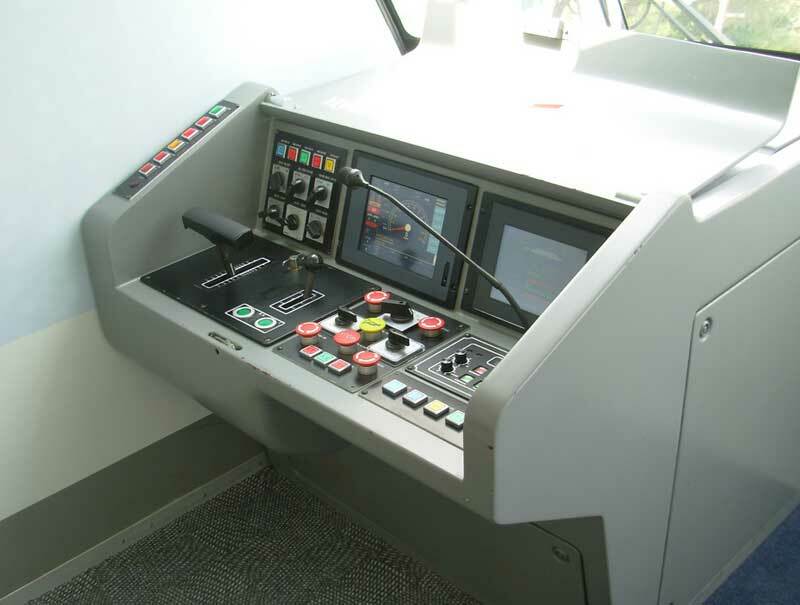 I was surprised to see traditional railroad controls on the maglev. The throttle positions go from P4 - P1, N, B1 B7, and EB. One of my rides was driven manually, while the other two were automatically driven. When the train was being driven manually, the driver selected P1 or N for most of the ride. It was neat how easily we coasted along in neutral! 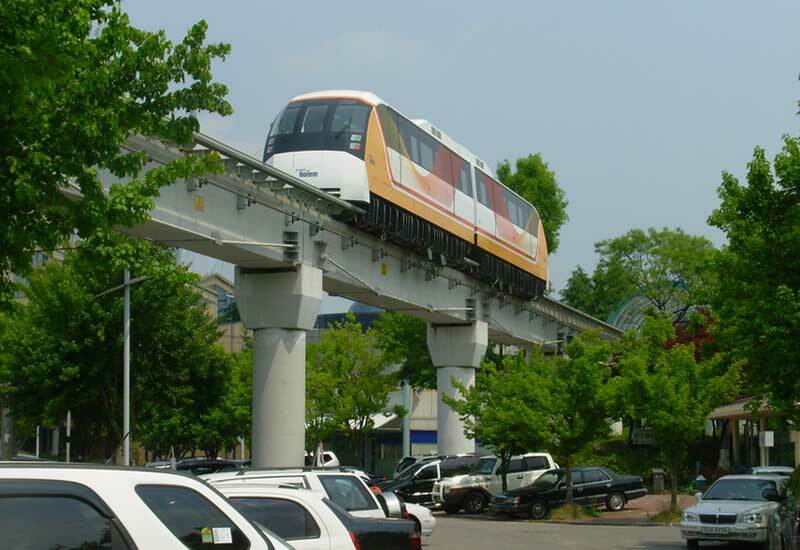 One of the many benefits of maglev technology! 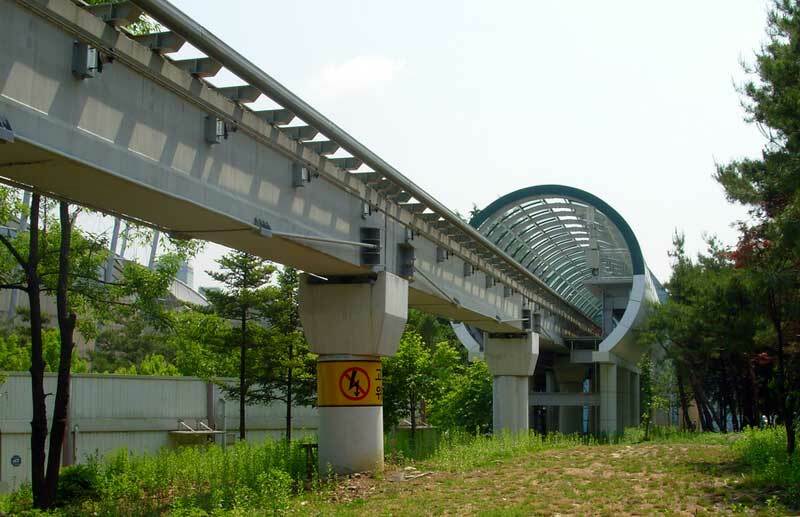 The Expo Park and National Science Museum are popular school group destinations and the maglev provides convenient transportation between the two as well as being an "exhibit" all on it's own. A back street behind the expo winds underneath the maglev track giving us a glimpse of what this system would look like along city streets. As we continue along the line, we pass Han's Diner. I had a lovely hamburger there, one of my few American meals, sitting on the porch under the red umbrellas watching the maglev trains pass quietly overhead.